Did you know that having a little fat with your vegetables can increase nutrient absorption in the body? It’s true. Research shows that when people eat foods like carrots, tomatoes and leafy greens with a source of fat like olive oil, they absorb more of certain compounds from the vegetables. That’s because carotenoids – a group of nutrients that includes beta-carotene, lutein and lycopene – depend on fat to be absorbed by the body. And you want these. Carotenoids may help reduce the risk of chronic diseases such as cancer, heart disease and macular degeneration. Some fats are better at this. Olive, peanut, sesame and canola oils as well as avocados are all great options. One study found that eating avocado with carrots increased beta carotene absorption by as much six times. This jives with previous research revealing that monounsaturated fats in particular (which avocados are full of) tend to be the most efficient at boosting nutrient absorption. Now back to the kitchen: It’s time to toss those bottles of low-fat or fat-free dressing lining the refrigerator door and make your own. The standard recipe for homemade salad dressing follows a 3 to 1 ratio – that’s 3 parts oil to 1 part vinegar (or other acid like citrus juice). It works. Taste is also a great guide, so adjust at will. If you prefer a sharper flavor, use a little more acid. 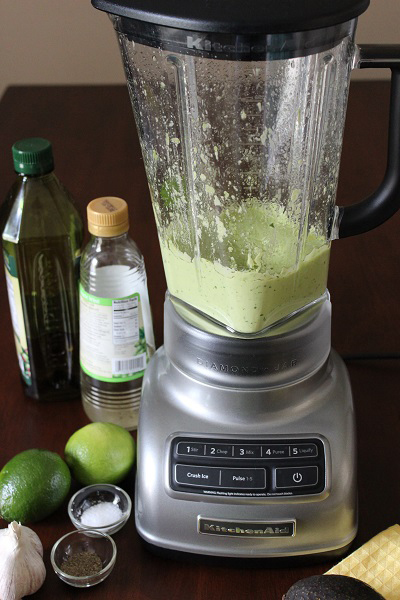 I’m sharing a recipe that challenges that ratio with the addition of avocado to create a creamy dressing that’s also healthy. 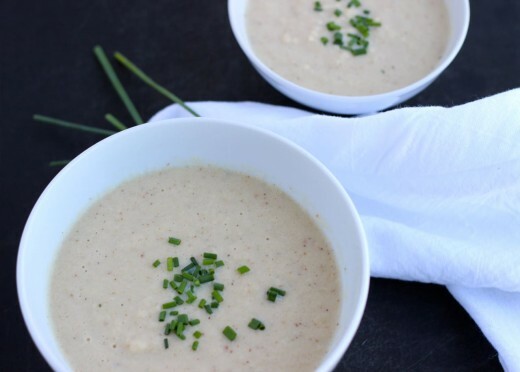 It does double duty as the heart healthy fats in the dressing help you to absorb more nutrients from the vegetables. 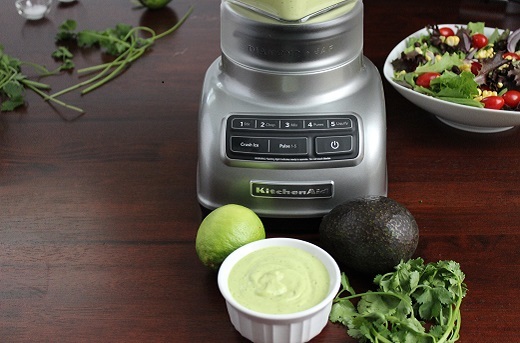 The KitchenAid® Diamond Blender makes whipping up this avocado lime dressing a breeze. Now, gather your ingredients because this is going to go fast. 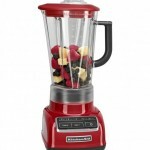 Add all ingredients to the Kitchen Aid® Diamond Blender. Puree until smooth. 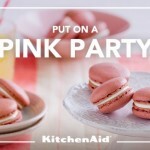 If it’s too thick, add a little extra lime juice or water to reach the desired consistency. All done! 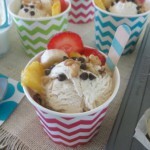 Use immediately or refrigerate in an airtight container for up to 2 days. 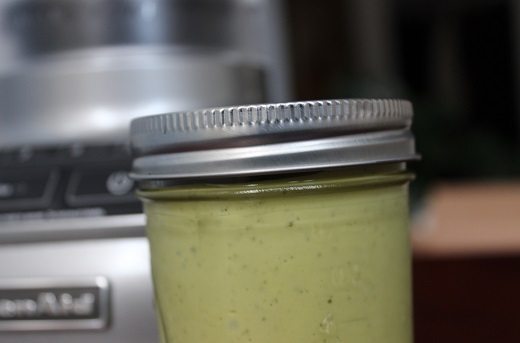 NOTE: Most homemade dressings last up to a week in the refrigerator but those with fresh fruit juices, avocado and other highly perishable foods won’t last as long – as is the case with this one. 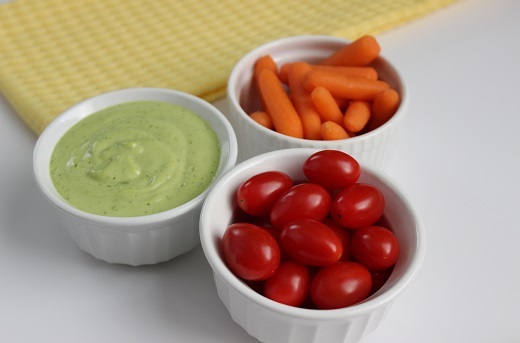 Chock full of heart healthy fats, this tangy avocado dressing works as a healthy swap for ranch dip. Enjoy it with crunchy and refreshing vegetables like carrots, tomatoes, cucumbers or jicama. 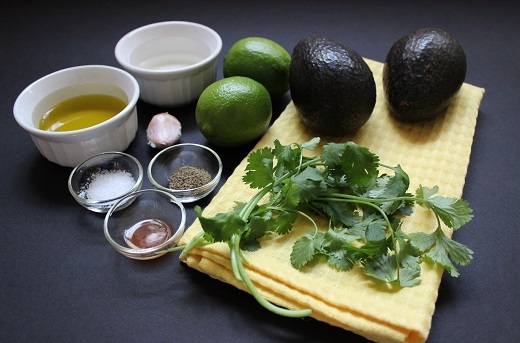 Drizzle 1-2 tablespoons of the avocado lime dressing onto your favourite salad greens or a tomato salad. 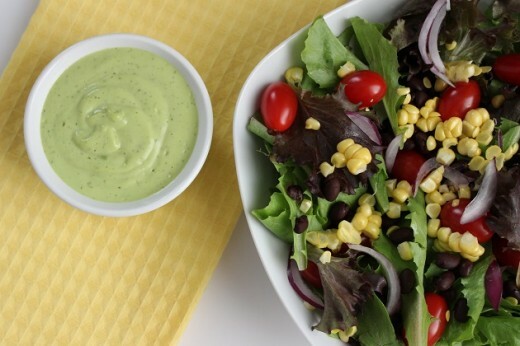 Sweeter salad ingredients like carrots, grape tomatoes and sweet corn complement this tangy dressing well. Slice, seed and dice the avocado. 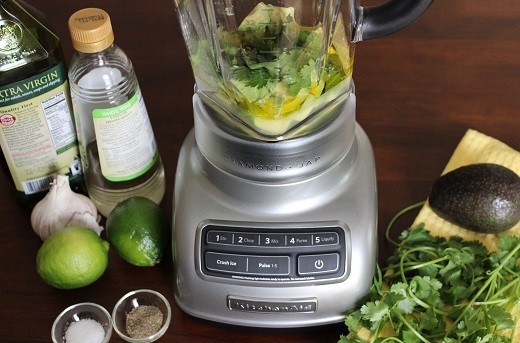 Place the avocado into the Kitchen Aid® Diamond Blender. Add the minced garlic, lime juice, vinegar, hot sauce, cilantro and olive oil. Puree until smooth. Add salt and pepper to taste.